The Western Cape Government works in co-operation with the National Government of South Africa to create laws for and provide services to the people of the Western Cape. The Premier, Helen Zille, is the executive authority in the Western Cape, mandated by the Constitution to be the head of the Western Cape Government. The Premier also appoints the Provincial Cabinet, who jointly form the executive branch of the Provincial Government. Visit the Premier's page for more information on her work and vision for the province. Working with a budget of R67 148 billion over the 2019/2020 financial year, these departments are responsible for implementing laws and providing services to the people of the Western Cape. 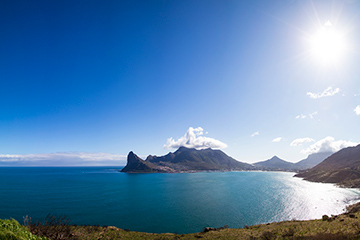 The Western Cape is situated on the southwestern tip of the African continent and is one of the 9 provinces of South Africa. The province is also home to South Africa's oldest city, Cape Town. 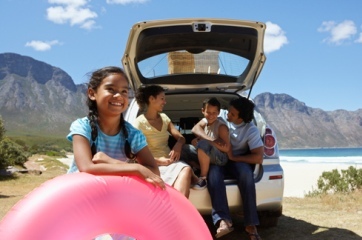 The Western Cape's natural beauty, complemented by its hospitality, cultural diversity, excellent wine and colourful cuisine, makes the province one of the world's greatest tourist attractions. With 11.3% of the national population, more than 6.3 million people live in the Western Cape on 129 370 km² of land (PGWC: Provincial Treasury - Provincial Economic Review & Outlook - PERO 2016). Afrikaans is spoken by the majority, with isiXhosa and English being the other main languages. In South Africa, the official narrow unemployment rate is estimated at 27.1% in the fourth quarter of 2018 (Stats SA). The Western Cape has South Africa’s lowest unemployment rate at a full 14 percentage points below the national average on the expanded definition. It also has the lowest rural unemployment rate at 15.7% in South Africa (State of the Province Address 2019). The biggest driver of economic growth and job creation in the Province is the services sector. 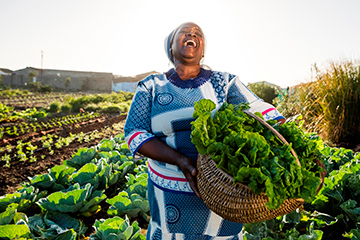 The Western Cape has managed to maintain its significant comparative trade advantage in the agri-processing value chain and several services sectors. Agri-processing and tourism are suitable sectors to support inclusive growth, as both are very labour intensive with rising productivity and allow for the creation of sustained jobs for all skill levels in both urban and rural areas. Both sectors can also be important earners of foreign exchange. The development of the gas sector allows for a transformation of the energy mix in the Western Cape to include more sustainable, affordable and environmentally friendly solutions. The clothing sector is benefiting from increased demand from local retailers and there are tentative signs of a turnaround in the industry. The construction sector is one of the key sectors to benefit from sustained growth in other sectors as it results in an increased need for infrastructure development. Due to these links to fast-growing sectors, infrastructure and construction growth in the Province is expected to continue to outpace growth in the rest of South Africa. The Constitution of the Western Cape was adopted in 1998 and is available in the official languages of the province, Afrikaans, English and Xhosa. 1 by the Economic Freedom Fighters. An open opportunity society for all. 1. Increase economic empowerment for all the people of the Western Cape. 2. Reduce poverty by promoting opportunities for all. 4. Efficient and effective infrastructure. 6. Improve individual and household capacity to respond to opportunity. 7. Improve efficiency and effectiveness in health, education, well-being and safety. 8. Sustainable resource use through greater spatial integration. 9. Effective public and non-motorised transport. 10. Responsive and effective governance. The coat of arms is the result of several months of research and consultation with important role-players (especially representatives of the political parties represented in the Provincial Parliament). The elements encapsulated in the design were chosen because of their wide support and because they reflect the uniqueness of the Western Cape. The predominant colours, red and gold, have a long association with heraldry in the Province. 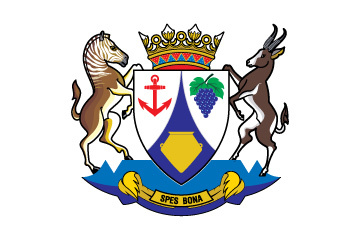 Read more about the Western Cape Government coat of arms and what it represents.